Southern Highlands Tree Growers Association (SHTGA) is a voluntary, member based organization established to promote socio-economic interests of smallholder tree growers (STGs) in the Southern Highlands of Tanzania: build and strengthen STGs networking and peer learning, promote women and young people participation in tree planting, enhance STGs access to better markets and integration in the value chains, facilitate members’ access to improved forestry and farm inputs as well as access to advisory and extension services. 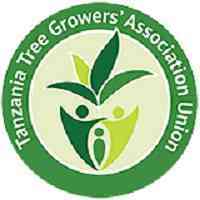 Southern Highlands Tree Growers Association (SHTGA) aims at increasing income of members who are organised into tree growers associations (TGAs) through developing sustainable and profitable forestry and value addition in the entire production value chain from quality seeds to quality products in the markets. SHTGA in collaboration with AgriCord is implementing a project on Smallholder forestry business for women and youth in Njombe and Ludewa districts. The project started in November 2018 and is looking for competent Field Assistant Extension Officers. A diploma or certificate in Agriculture/community development/rural development or other relevant disciplines.  Business management and entrepreneurship and putting them in practice among TGA/smallholder environment.  Participatory community based monitoring of smallholder-related field activities.  Understanding cultural and social environment in Southern Highlands of Tanzania.  Good problem/conflict solving skills.  Ability to work with other stakeholders, including district authorities, private companies and NGOs.  Excellent oral and written communication skills both in English and Swahili.  Main streaming gender issues in the project activities.  Minimum of two years’ experience in similar position.  Assisting TGAs in setting up a proper and efficient networking and communication system at ward level.  Preparing necessary documentation as regards to planning, implementation and monitoring of field operations and making proposals for development of best procedures, guidelines and training packages for TGAs and tree farmers. If you think you meet the job requirements, please send your application letter, current CV and names of two referees to the following email address [email protected].or.tz copy to [email protected].com by 17th April 2019.